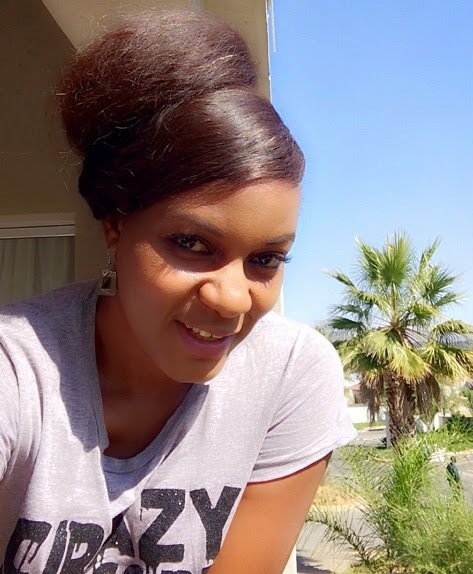 If you ask any keen observer of trends in Nollywood to point to an actress that should be crowned queen of the core Nollywood acting skies, you are sure that the observer will point at the popular Nollywood actress, Queen Nwokoye. The Sociology and Anthropology graduate of the Nnamdi Azikiwe University, Awka is undoubtedly a leading actress in the sector. An actress of vast credit and extraordinary beauty who has had more than a steady run in the movie since she joined the industry in 2004, Queen has continued to reign over the Nigerian home video scene and has outlasted a few of her peers in terms of sustained relevance at the apex, not only because of her grace, beauty, artistic carriage and devotion to the job, but because the Anambra State born actress is simply a naturally talented actress. Generally viewed as a gem that has remained unshaken and unbeatable, Queen star of hit flicks like Speak the Word, His Majesty, Show me Heaven, “My Everlasting Love” and “Ada Mbano” has been nominated in the leading actress category of the 2015 edition of the global award for black filmmakers the Africa Movie Academy Awards (AMAA). The award is scheduled to hold in South Africa on September 26 and Queen anticipates a good outing at the awards. Congratulations on your nomination as a leading lady in the 2015 AMAA’s. How does it make you feel? Thank you very much. I feel very happy and I want to say a big thank you to AMAA for the nomination. I honestly didn’t see it coming in any way. I was on set when I got to know about it. I saw people congratulating me on Twitter. It took a while before it dawned on me that I was nominated in the best actress in a leading role category and for my role in Chetanna. I was happy and so elated and I had to announce it to the entire cast and crew. Chetanna is an Igbo language film. How were you able to cope considering that you have been doing a lot of English language movies? You have been walking tall off and on screen. In fact an entertainment website recently named you the reigning queen of Nollywood. What is the secret? My relationship with God is the secret. I think what has kept me going in the industry is prayers and the fact that I really have the passion for this job. Again if you ask all those I have worked with, I am sure they will attest to the fact that I take my work seriously no matter what role I am given to play. I started with the popular saying that ‘no role is too small’ and I have kept at that. Again, I also do my best to interpret my roles well. Once I am given a role, I commit personal resources to researching the character and getting it right. I am sure my fans are generally entertained because my producers tell me that they keep asking for more. How will you assess the Nollywood industry? I think we are not doing badly at all except that we need funding and the right structures including distribution structures so that we can sell movies and so that our producers will have enough to make more movies and that way we can earn monies as practitioners. At the moment what I take home is not bad but it’s still not too good considering the effort and hard work we put in. But I am very certain that once we curb piracy, improve distribution and properly regulate the industry, things will improve.